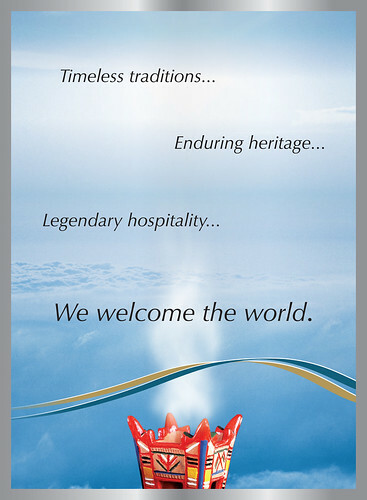 Posted by Arun Rajagopal in Advertising, Oman, Travel. My latest campaign at Wunderman Oman is one of the most exciting projects I have ever worked on. It has been exciting, hectic (explains the blogging hiatus) and a great learning curve. After all, it’s not every day that you get to work on the rebranding of a country’s national airline. Particularly gratifying for me is that I have worked on this brand for the last 3 years, across 2 agencies. It gives you a great high to watch an airline take off in new colors, especially when you have played a role in its ‘vibrant, new journey’. 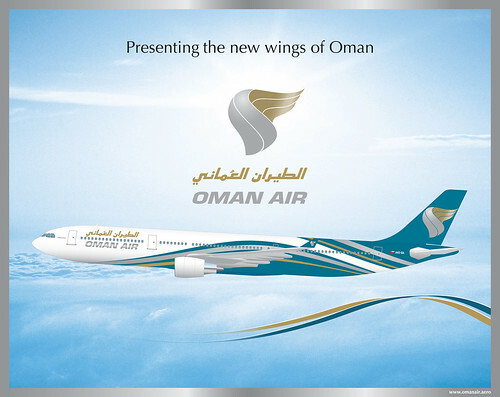 Welcome to the new wings of Oman Air, the national carrier of the Sultanate of Oman. The rebranding exercise became essential as Oman Air has changed its focus from being a leading regional airline to a competitive global player. The airline is currently expanding its wings with an ambitious fleet expansion programme and launch of new destinations (9 cities in 2007). Our campaign delved into the psyche of Oman as a traditionally friendly and hospitable nation to create the message that as ambassadors of the nation, Oman Air brings élan, friendliness and warmth to flying. 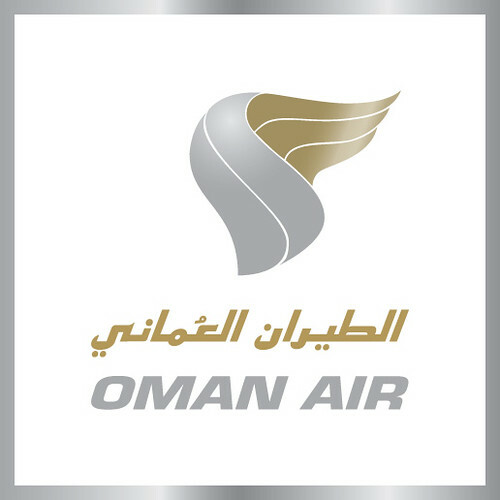 The revitalized brand identity features the Oman Air logo as a contemporary rendition of Frankincense smoke. Frankincense is one of the most evocative expressions of Oman’s vibrant heritage and culture. Those familiar with Arabian history will know the significant role frankincense has played in Oman’s history. Today, burning incense is an inseparable part of Omani life and is indicative of the country’s enduring traditions of hospitality. A high-profile corporate branding and aircraft livery unveiling event (with laser show and the works) was held yesterday at the Shangri-La’s Barr-Al Jissah Resort and Spa, Muscat. The ‘New Wings of Oman’ press campaign was launched across Oman today. TV spots unveiling the new look of Oman Air will roll out across the Middle East this week. Communications across diverse media – print, outdoor and digital will follow. Watch this space for more news on ‘The New Wings of Oman’ campaign. Update: TBWA/Zeenah, a leading agency in Muscat designed the new logo and livery of Oman Air, while Wunderman Oman developed brand communications for other media through ‘The New Wings of Oman’ campaign. Hat tip to Ivan Sidzhakov at TBWA/Zeenah, who worked on the new logo. Silver and gold, is it? Pray, why choose colours that are impossible to reproduce well – in any medium? Just a knee-jerk comment, but pls enlighten. I am sorry, but the design symbolizes nothing about Oman .. the old design at least resembles something about Oman .. The 2 swords and the Khanjar. It shame to say this is our airline with this logo. well the trueth is that the symbol is good colours are very good but the problem as some menyioned is that to reproduce them is a bit dif..
thats nice!!!!!!!! flong fly Oman air!!!!!!!!! I think the idea of a new logo is good. but rather than having a better logo we are given a logo that says nothing about oman. i think the same khanjar could have been given a new modern look or if Frankincense was to be used, then at least make it more obvious! if omanis themselves don’t see the Frankincense who will see it ?!!? its good for airlines that are independent but as a national carrier im sorry, it needs to be modified…please don’t go a head with it!?? PLEASE! Wow! These comments are really interesting and not what I expected. 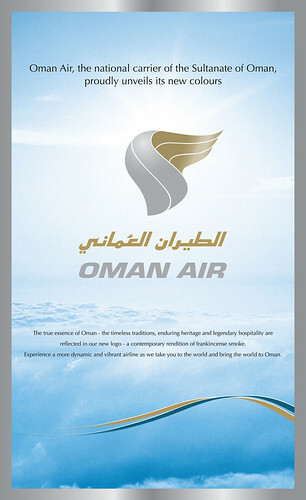 As one from outside Oman (the U.S.), I think the campaign is beautiful and alluring to travelers. I do like your work and thank you for sharing it. Can we please kindly request that the TBWA\ZEENAH team which came up with the new Oman Air logo and its colour scheme gets credited on your blog for their part in the OA rebranding? Thank you very much / good luck. mostly on British Airways but Oman Air staff are far more polite,the food is better and the in flight service more professional. I never knew Oman air logo represented frankincense smoke!